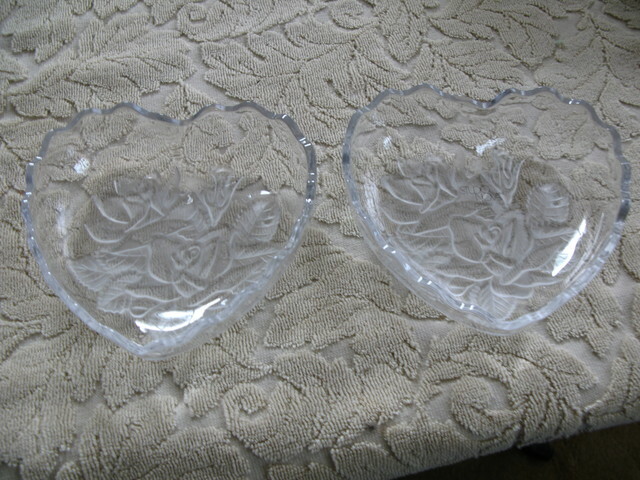 2 small heart shaped crystal bowls. Aprox. 6" across x 1.5" deep. Made in Japan. New, never used.